The LA-Based Modular Synth Group CIRCUIT JERKS Discuss Their Debut EP and More! 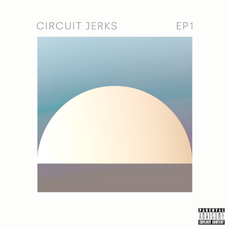 The LA- based modular synth group Circuit Jerks recently released their debut EP, “EP1” via Interscope/Waxing Moon Records. Comprised of Jesse Carmichael (Maroon 5) and Jason Lader, Circuit Jerk creates an inescapable trance like experience in the five song EP. We’re stoked to have some music officially out in the world… getting ready for making some new music together soon. Yeah, music was always in our blood… Jason and I both grew up pretty much fully immersed in it. How did Circuit Jerks first come together? How did you come up with your band name? Was it hard to agree on one name that represented who you are as a group? It was a very organic beginning… we started as a foursome really casually just sharing our love of the modular synth systems. Andrew Schepps, the producer/engineer had the biggest system at the time and we decided to do a remix of the first Maroon 5 single from our last album, “Maps”. It was so much fun so we did another Maroon 5 remix and started doing some experimental style instrumental pieces…At this time Andrew had moved to England so we were a duo (with some help from a ghost member who can’t be named). Our first band name idea was “The Fellowship of the Ring Modulators”, but then “Circuit Jerks” just popped into my head and we loved the punk rock connection. I’ve read that your music is described as ‘modular synth.’ What exactly does that mean? How would you describe your sound? We use synthesizers that are made from individual components that have to be patched together manually with cables to make a sound. They can do anything from drum beats to bass and synth tones to sequencing and sampling and effects based things like delay and reverb. Let’s talk about your debut EP, “EPI.” What was it like putting that collection together? How long had you been working on it? Where did the majority of the inspiration for the songs come from? How do you think your previous musical band experiences have helped shape Circuit Jerks and the kind of music that you make together? We all really love being in the studio and it’s fun to do remixes because it provides a structure for creativity. The “Brazil” song redux was based on an idea we had to provide some electronic music for a video our friend Travis Schneider was making with us while on tour with Maroon 5 in South America. The two ambient pieces at the end of the EP are creations that Jason Lader did all by himself and show a different side of the band… more meditative and drone related. We love so many genres and different artists and they all inspire… It’s cool to see people like James Blake and Frank Ocean, both of whom Jason has worked with in the studio, getting into the Modular Stuff. Jonny Greenwood from Radiohead has been a big champion of the equipment. We’re super down to collaborate with lots of different people in the future! At the end of the day, what do you hope is the message of your music? What do you hope listeners take away from your songs? Is there anything else that you would like to share with our readers about yourself or your music? An Interview With The Americana String Quartet, ROSIN!